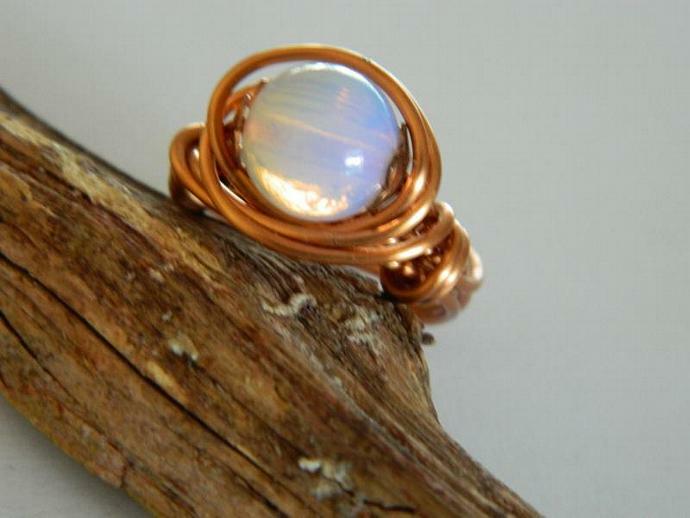 Gorgeous pale pink Opalite lends its lustrious shine to this natural copper wire wrapped ring. 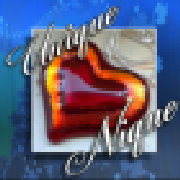 The natural copper is a perfect foil for the Opalite. The ring is comfortable, easy to wear and definitely an eye catcher. This ring is Size US 7 but If you need a different size please let me know what size you need and I will make it for you. The ring is neatly packaged and shipped via USPS first class mail. Please be aware that if you pay through PayPal I will ship to the address on PayPal so please make sure that your address is correct. Should you wish to have the ring shipped to a third party please leave clear instructions in the notes to seller and I will do my best to accommodate you.